in Maple Grove, MN checks out Enslow's QR code. 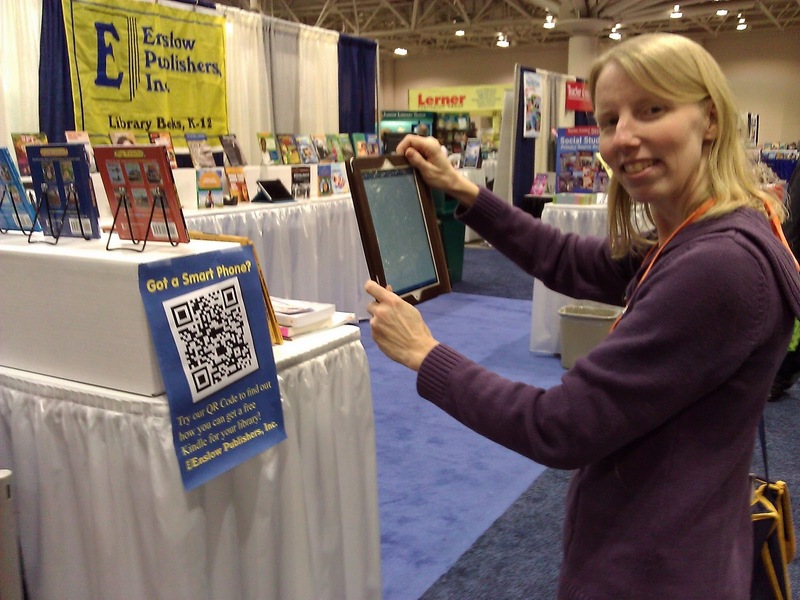 Last week Enslow attended the American Association of School Librarians (AASL) 15th National Conference and Exhibition in Minneapolis where we greeted school librarians and educators in our booth. The conference provided the opportunity for attendees to browse our books, learn about our Free Kindle Offer, and enter our raffle to win a free set of books. The lucky winners are Paula from Southampton High School Library and Kay from Lake Ripley Elementary. The have won the six new books from our Hot Celebrity Biographies series. On Friday, we gave away free books to the first 40 people that visited our booth. It was a great time and we enjoyed speaking to everyone!